Imported from South Africa, produced in Holland. Exclusively inbred, never hybridized, 100% Sativa. Large long budleaves, buds are also large and long with lots of resin. A sweet licorice or anise flavour. “Up” high similar to Thai. Well suited for outcrossing with late bloomers to produce earlier flowering. Also does very well under artificial light. 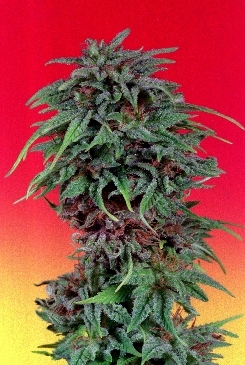 Click the button below to add the Dutch Passion Seeds Durban Poison Feminized Cannabis Seeds | Pot Seeds to your wish list.